Martin Armstrong’s Armageddon scenario looms as Fed has now lost control: $5,000+ gold anybody? The man who forecast $5,000+ gold prices for 2016 back in 2009 (click here), and whose cycle model predicts a big disruption in global financial markets at the close of this month, has spoken out against the Federal Reserve’s decision to keep interest rates on hold last week. ‘There is a lot of speculation about why the Fed seems so reluctant to ‘normalize monetary policy’, he writes on his website. ‘There are of course the typical domestic issues that there is low inflation, weak wage gains in the face of strong job growth, a hike will increase the Federal deficit and then there is the argument that corporations that now have $12.5 trillion in debt. ‘All that is nice, but with corporate debt, our clients are locking in long-term at these levels, not funding anything short-term. Those clients who have listened are preparing for what is to come unlike government which has been forced to shorten the average duration of their debts blind to what happens when rates rise, which will be set in motion by the markets – not Yellen. ‘The Fed is really caught between a rock and a very dark place. Yes, they have the IMF and the world pleading with them not to raise rates for it will hurt other debtors who borrowed excessively using dollars to save money. 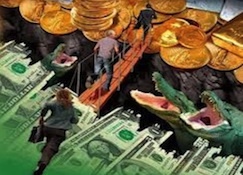 ‘The Fed is also caught between domestic policy objectives that dictate they MUST raise rates of they will bankrupt countless pension funds and international where emerging markets will go into default because commodities have collapsed and they have no way of paying off this debt that has risen to about 50 per cent of the US national debt. Mark Spitznagel won’t confirm or deny the rumors that he made a billion dollars on Black Monday last month through effective hedging. He talks to Fox Business anchor Maria Bartiromo and says this is just the beginning for volatility to come. He thus is not concerned about any short term movements in the market. Every trader will trade in the market with a different set of mind and they will react differently to the same situation. Understanding the compounding effect in the market is important. compounding is when the money grows and where the gains from the last years gets reinvested for the next year. So suppose that you had invested 100 in a particular year at a rate of interest of say 20%. Then at the end of the year you will have 120 in your account. You have two options at the end of the year. You may either reinvest the 120 back or take out the 20 profit that you earned this year. You decide that you do not want to withdraw the money but instead plan to reinvest it. When you calculate the amount at the end of the 2nd year it has grown to 144. This 144 grows to 173 at the end of the third year and this keeps going on and on. If you had withdrawn the 20 at the end of the first year then you would have earned just 60 profit at the end of the third year. But because you had decided to not withdraw your money but to stay invested you gained 13 or 21.7% over the 60 that you may have made had you withdrawn your profits. This is the compounding effect. As per the compounding effect the longer you stay invested the faster you will see your money grow. When you invest in the market based on fundamental analysis you will be advised to stay invested for a longer term. So before you start to invest in the market understand your mindset. The question that comes to mind is that whether investing actually works. Investing can be compared to growing a plant where if you give the plant the right amount of care then it is sure to grow. All this is published here in great detail. Gold futures climbed again on Friday and eyed a solid weekly gain of around three per cent or higher, with analysts giving the credit to the Federal Reserve’s decision to keep interest rates at historically low levels. But then if gold was doing well its volatile sister was outperforming to the upside with prices set for gains of more than five per cent for the week, and a positive hurricane seems to be brewing in the silver camp. Remember 2008-11 when silver jumped from $8 to $48.50 an ounce? Gold for December delivery was up two per cent to $1,140 an ounce at the time of writing on Friday, while December silver had leapt to $15.40 an ounce. Analysts led by Goldman Sachs had previously emphasized that higher interest rates would hurt gold because it doesn’t pay interest, meaning some investors would step away from it. Plus, higher rates lift the dollar and a stronger greenback can weigh on dollar-denominated commodities as they become pricier for holders of other currencies. In the event the Fed was having none of this, and the weary business of trying to anticipate when it will finally raise rates must start again. However, more stormy global economic clouds ahead could now kick rate rises into the very long grass. To turn Goldman’s somewhat dubious logic – as gold has often risen with interest rates in the past – on its head, then surely gold and silver prices have only one way to go absent interest rate rises. Hedge funds and other momentum traders are always on the look out for trading positions like this, where you just buy and ride the momentum upwards. Could it be that stocks will now continue to head downwards while precious metals step up into the great blue yonder? The trend is your friend, until it is not. QE4 is coming warns ‘Dr. 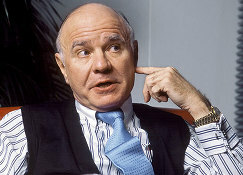 Doom’ Marc Faber so buy gold! The original ‘Dr. Doom’ Marc Faber is warning that the Fed’s raising of interest rates will cause such an almighty crash that it will be forced to revert to money printing with QE4. He remembers how Fed policy reversed the 2008-9 slump in equities but the biggest gainer in the next two years was precious metals. Could history be about to repeat itself again? Quantitative easing is an unusual financial policy. In this, a central bank can purchase some government as well as few other securities from the market. This is done to boost the money supply as well as to lessen the interest rates. QE has been implemented a few times recently. The global economic crisis of 2007-08, The Federal Reserve, the central bank of U.S has implemented series of quantitative easing. Similarly, other Banks as the European Central or the Bank of Japan has been seen executing QE. Stock markets react to every small or big change happening globally. Quantitative easing lowers the interest rates affecting the returns on normally safe investments including certificates of deposit, money market accounts and highly rated bonds. These situations leave investors no choice but to take few risks in order to get a return. They tend to take their portfolios to the equities hoping to push the stock market prices. 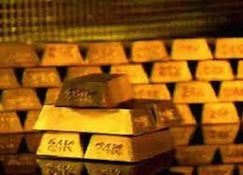 The gold market is also affected by Quantitative easing depending on the investor’s viewpoint. During the financial disaster of 2008, Quantitative easing had a good impact on gold. But soon after in QE2 in 2011 as the U.S. economy improved, the gold price was dropped. But gold has proved to be the investor’s safe haven from times. Not only because gold is rare or that its value is high, gold has many other properties that make it almost impossible to replace. Same goes for the other precious metals like gold. Gold is in the stock market for long but it has proved it can not only survive alone but can be working well with other emerging revolutions like the cryptocurrencies. In times like this, it is recommended to do a thorough study of all the investments instead of just considering the effects of quantitative easing. It is recommended to diversify the installments using the emerging systems as Qprofit System. Please read the related articles in dept to know if Qprofit System is not a scam. 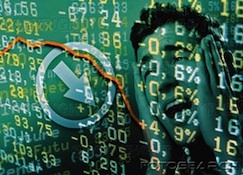 US stock markets will not just stop at their recent correction but now go on to a full blown crash with share indexes off 40 to 50 per cent from peak valuations, according to this latest video from market tipster Mike Swanson with David Skarica. The predictions for the year were not all bright right from the starting, but were not this worse. The reason behind this last-minute may be the lack of any early or pre-timed initiatives to widen the share market and its factors or to exert any significant steps to save the grace of the Treasury assets. The result became a clearer picture when the forecasts modified into reports of falling Treasury assets more than what could be saved to keep them as safe as they can be. When the benchmarks are rendered insecure, there is no point in mentioning about other assets, the equities and bonds to the least. The bitcoins may be thriving in popularity and takers and the efficiency of mining software might be adding to the favorable winds, but a single, but firm voice asking Is Bitcoin Trader a scam can rattle the enthusiasm of the miners for quite some time. It may eventually fade off or continue to grow and create havoc in the cryptomarket. Some of the crashes in the history before either started off in the US and spread to other economies as well and the others started locally and then rattled the balance of the US. The ultimate aim of all the stock owners and shareholders is to perform fairly in the US stock market. Any significant alteration in the financial regulations of the trade and business in other countries will not die out without leaving a relative impression on the share values in the US economy and market. For example, if there is a tariff increase in the goods imported from the US, it triggers off a chain reaction up to the manufacturing structures. 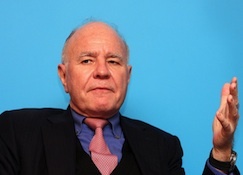 Always a controversial contrarian investment guru and Gloom, Boom & Doom Report editor Marc Faber now says to short the Hong Kong dollar as the devaluation of the yuan puts its peg to the US dollar under pressure. As per the leading debaters, the global economy is in crisis. There are very few safe havens for the investors. The Cyprus bank crisis has left investors thinking that even the bank deposits are not safe. While talking about the unemployment in Europe and its impacts, the precious metals and the economic slowdown of China they also shared their thoughts on investments in such unpredictable times. Their suggestion was to diversify the investments and not to rely on a single entity. Investing in multiple markets as real estate, equities, gold and other precious metals as well as bonds is the best go. Investors can also look for emerging economies like exchange-traded funds or ETFs. Investing in stocks market has always been risky. But earning quick money comes with risks. With the Cyprus bank crisis, investors cannot even keep the money safe in banks too. In such crucial times, it is very important to diversify the investment and keep studying the market trends. For this, we need systems that can take in the current as well as the historical data and give us the proper analysis of the market trends. There are many such trading robots available in the market as of now. Ethereum Code is one of the leading. Check the latest research to understand is the Ethereum Code legit. In volatile times markets can look distorted. With the extent of debt of GDP and the low economic standards, it is highly recommended to own gold. Gold has been in the market for ages as the investor’s popular choice. And there is no chance it is going to go away any time soon. Also, gold’s influence on the economy depends on how safe the other investments are turning out to be. When the markets are shaky investors see gold as their safe haven. Price of gold is considered the trademark for determining the health of the economy. Lower the gold price more stable the economy is. Though nobody can predict how the markets will turn it is always advisable to diversify the investment for a better outcome.